Originally built in 1014, the ancient Van Nien Pagoda is widely considered one of the most famous spiritual sites in Hanoi. 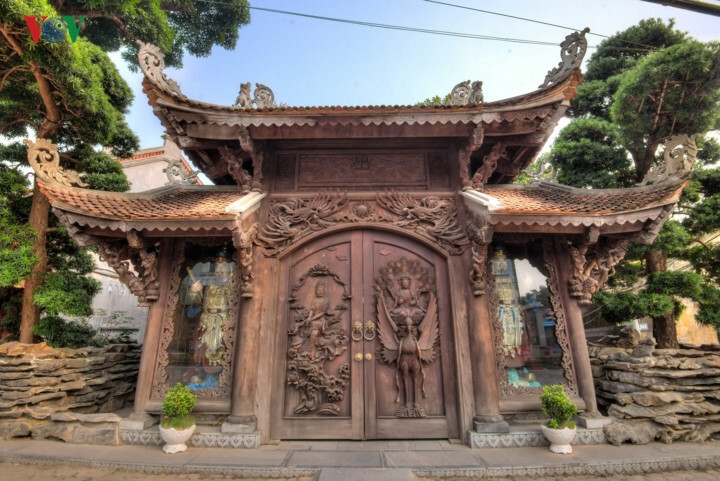 Van Nien Pagoda is located on Lac Long Quan street in Tay Ho district of Hanoi. The pagoda was built during the second year of Thuan Thien under the Ly Dynasty, a year after King Ly Thai To moved the capital from Hoa Lu to Thang Long. Previously, the pagoda was called Van Tue. One of the most notable features of the architecture is the use of wood as the main material in the pagoda. Similar to other pagodas in the north, Van Nien Pagoda features three Buddhist statues of the past, present, and future which are placed at the highest points of the site. Also featured are Buddha Amitabha and the Goddess of Mercy. Although the pagoda has undergone several restorations throughout its history, it still maintains many of its original architectural features and objects which have a great historical and artistic value. The inside of the pagoda is home to more than 40 round statues and 10 deities from the Tay Son period. A pool of fish can also be seen inside the pagoda. During the first or fifth day of the lunar months, pilgrims often travel to the pagoda to pray for peace, health, and happiness.